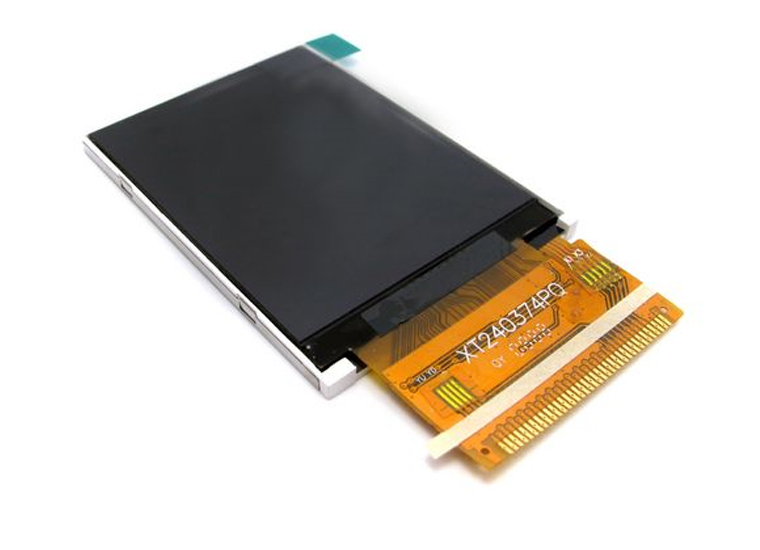 Please find below a list of our excellent wide range of small format Industrial LCD (Liquid Crystal Display) TFTs in standard and stretched (bar type) formats. 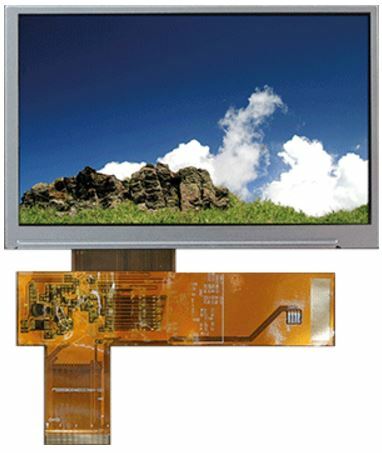 A wide range of TFT LCDs with multiple options including touch integrated PCAP (Projected Capacitive Touch) screens. The small LCDs and small TFT Displays can be standard off the shelf or bespoke design in various shapes including Letterbox TFTs, square displays and round TFTs. Industrial Displays and automotive TFT displays are advanced solutions and can include sunlight readable TFTs, transflective LCDs, Rugged displays, as well as industrial LCDs with touchscreens. The display solutions come in different formats including 16:10, 4:3 and 16:9 format LCDs including touch panel displays. 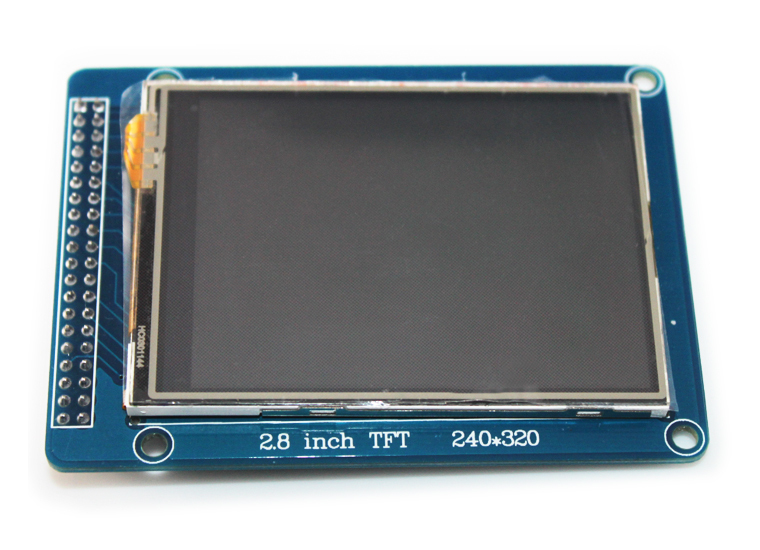 CDS offers the widest range of TFT LCD modules in Europe so we can find the best display to meet your needs. Full list of LCD and TFT panel data sheets. But do not take our word for it, take a sample for evaluation and test. 10.4 CE104JXWDLV-H0 1024 x 768 1000 238.6 x 175.8 x 13.2 -20~70 LVDS Optional Wide Op. Temp. 15 CE150CXDDLV-H1 1024 x 768 1000 326.5 X 253.5 X 15.66 -20~70 LVDS Optional Wide Op. Temp. These wide viewing angle TFTs with optional touch are industrial grade and cost competitive. Therefore these products are a popular display choice to integrate in many projects. Using only high-tech factories that we partner with, we provide clients with the service of designing liquid crystal display panel (LCD) and liquid crystal display module(LCM), and is committed to the customized service, R&D, sales, after-sales service of display products. Our factories have hundreds of engineers focusing on creating the highest quality displays including monochrome LCD (TN, STN), colour LCD (CSTN and TFT), Custom LCD’S ,LCD module (both COG* and COB*) which are widely used in mobile phones and many other applications. Our state of the art factory produces High Resolution TFT glass panel cells, has TN, HTN, STN and TFT technologies. The Factory has class 1000 clean rooms, high accuracy bonding, pre bonding and heat seal machinery, many production lines specifically for TFT production, OCA and OCF bonding machines, In-House LCD glass cleansing process, output thousands of pieces per month. 2.8”, 3”, 3.5”, 4.8” 12.3″ automotive specified displays, and 5” wide viewing angle IPS panels. Ultra wide temperature range models including automotive -30 to +85 degrees Centigrade! edp to LVDS converter, LVDS to HDMI, LVDS edp adaptor. These displays can come with: touchscreen components, touchscreen overlays, industrial touch screen, embedded touch screen display modules, PCAP Touch screen, TFT Display interface, capacitive touchscreen overlays, capacitive touch screen kits, DVI to LVDS converter board, RGB display interfaces, LCD RGB interface, LCD Segment drivers, LCD without backlight, analog resistive touch screen, panels for various TFT manufacturers, TFT Interfaces, AHVA Displays, square LCD Displays, LVDS to DVI converters, small TFT screens, TFT Boards, LVDS Display Interface, PCAP Touch Technology, RGB to LVDS converters, Industrial LCDs, LVDS screens, Wide LCDs, LED TFTs, TFT Colour displays, LCD drivers, LVDS Touchscreen displays, automotive LCD Display, TFT high resolution screens, TFT LCD capacitive touchscreens, TFT capacitive touchscreens, high brightness LCDs, Letterbox Displays, small VGA Displays, LCD panel without backlights, Controller boards, Display-Kits, full motion video, new line of TFT-LCD Digital Displays, Touch screen TFT LCD, Resistive Touch Screen TFT, Projected Capacitive Touch Screen Module, IPS TFT LCD, Active matrix Display, RGB TFT LCD Display, Micro OLED Display, OLED Display 128 x 64, 128 x 64 Graphic LCD Display, TFT Cards, LVDS MiPi, Touchscreen display monitors, Display controller boards, TFT LCD capacitive touchscreens, and Dot Matrix Display module. Variations of our displays include: TFT Display touchscreens, TFT IPS Display, monochrome displays, TFT or LCD, embedded components, LCD components, TFT Drivers, industrial range of Displays, Square Displays, small LCD displays, multi-touch monitors, sunlight readable monitors, TFT panels, sunlight readable displays, TFT LCD IPS Display, Interactive LCD Display, HDMI TFT, low power LCD Displays, LVDS LCD Display, super narrow bezel, small touch screen display, various LCD panel types, square LCD screen, custom cut LCD Panel, high brightness LCD Displays, TFT Display touchscreens, Custom TFT Displays, USB TFT Displays, Industrial LCD panels, sunlight readable LCD Displays, daylight readable Displays, small TFT displays, Low power Displays, embedded displays, touch screen retail Displays, flat screen display systems, panel display systems, custom size LCD screen, small video Displays, and high brightness Displays, sunlight readable, industrial TFT LCDs, projected capacitive, led backlight, high contrast, wide viewing angle, ultra wide, touch screen, wide operating temperature, TFT LCD, TFT Displays, industrial TFT LCD Panels, TFT Display components, LCD Display TFTs, competitive low-cost LCD Panels, TFT Modules, high resolution display, TFT/LCD, Tianma 7″, 10″ TFT industrial wide displays, Innolux TFT, colour TFT LCD panels, sunlight readable panels, bar cut panels, SMART TFT displays with built-in control, high contrast ratio, wide viewing angle, wide temperature operation, longer lamp life, lower power consumption, stretched bar LCD, LCD Display Panel Kit, Touch overlays, PCAP Screens, 3.5 inch TFT LCD Monitor, Various TFT LCD Manufacturers, TFT LCD Capacitive Touchscreen, Letterbox resolution, low power TFT LCD capacitive touchscreen, electronic paper display, 8.8 inches, TFT LCD panel, LCD, LED driver board, open frame touch screen, best touch screen display technology, and Samsung TFT LCD. Our displays are used in: touch screen vending machines, automotive touch screen displays, vending machine display panel, Touch screen vending, TFT Automotive, LCD Dislay panel kits, Touch screen TFT monitors, LCD Display components, LCD Screen components, and POS LCD Displays. As you can see from the tables above we have sizes including: 8.8 inches, 4.3 inch LCD Display, 10.1″ TFT LCD, 3.5 inch LCD Display, 4.3 inch display, 3.5 inch TFT LCD Display, 4.3″ screen, 7 inch LCD panel, 3 inch LCD Displays, and 4.3″ TFT LCDs as well as other small LCD Display screens. We have options on and equivalents to the following displays and TFT panel manufacturers: Raystar, Kingtech LCD, Digital View, OLED modules, OLED products, Powertip LCD Displays, Data Vision LCD, LG TFT Display, Tianma NLT, Powertip Displays, Mitsubishi LCD Displays, DMC components, Kyocera LCDs, NLT Technologies Ltd, Sharp LCD TFT modules, LCD manufacturers in the USA, PMOLED Displays, innolux display corp, Industrial touchscreens, A Grade TFT LCD Displays, Panoramic TFT Displays, Samsung TFT Displays, Touchscreen components, Transparent TFT Displays, Touchscreen components, TFT LCD controllers, as well as other TFT LCD manufacturers and Liquid crystal Display manufacturers. CLICK HERE for our high bright monitor update.